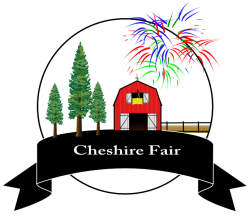 We are looking for volunteers to help out at the Monadnock Travel Council’s booth at the 2018 Cheshire Fair, August 2 – 5 in Swanzey. 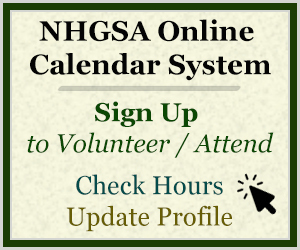 Sign up through the GSA Online Calendars. The Fair is open Thursday-Saturday, 11am-9pm. On Sunday, the booth closes at 5pm. Perks: Free admittance to the fair for the day you volunteer. Distribution of brochures, maps etc. There will be information on the fair itself and restocking and securing the booth-tent in case of rain. There will be signs coming on 101 West and East before the intersection of 12 South saying Cheshire Fair. Parking for the fair will be directed by the parking attendants, use the first gate when coming from Keene – this will be to the left when coming out from the Fair Ground office. When going into the office tell the “Posse” standing guard that you need to pick up a ticket at the office. Ticket for entrance to the fair and a brochure Fair Guide will be picked up at the Cheshire Fair Main Office, it’s the little white building at the entrance coming from Keene on 12 South. The Monadnock Travel Council Booth is located behind the the bleacher seats to the Pine Grove Stage and next to the Lemonade Stand. Plan on arriving for your shift 15 minutes early. Follow 101 West all the way to Keene when coming into Keene will turn left at second light onto 12South, the Cheshire Fair Grounds are 2.2 miles on the right. From Manchester, NH about 1 hour 20 minutes. to Keene, NH will merge down ramp onto Rte 12 South, go past West Street exit and will come to intersection of 9 West and 101 East. Turn left at the set of lights onto 101 east. When approaching round about go straight through and will continue on 101 East. At th next set of lights take a right onto 12 South. Cheshire Fair Grounds are 2.2 miles on the right. From Concord about 1 hour 15 minutes. Welcome to the Monadnock Region! Thank you for helping staff the Monadnock Travel Council Booth and Enjoy the Cheshire Fair! Contact Booth Manager Jim Narkiewicz, GSA Old Man of The Mountain Class 2003. Cell 603-313-8585. We are over 1740 strong since 1996. Our professional GSA certification program not only leaves our graduates with our "Its Always Sunny in New Hampshire" attitude, its gives our volunteers and industry friends a broad overview of the state's industries and its recreational resources with presentations from over 20 speakers from around New Hampshire. Our professional GSA volunteers collectively serve an average of 20,000 hours and passionately assist well over 100,000 guests to our state each year at over 20 visitor information centers and 20 special events. They are true New Hampshire Information Specialists. Copyright © 2019 NH Granite State Ambassadors. All rights reserved.